Choose your Accommodation for French Language Stays in France! Our Easy French language school in Montpellier offers high quality accommodations for its residential French language courses in the South of France. To choose the right accommodation is an important part of your French language immersion stay in Montpellier. Everybody has different requirements for accommodation, different ways of living and different habits. Our Easy French language school in Montpellier is very much aware of this. Therefore we offer a wide range of quality accommodation options for our residential French courses in Montpellier. Our Easy French language school has its own in-house accommodation department. This way we can ensure accommodation at a very high level. From the time you first enquire with us for a French language immersion stay in Montpellier, we will answer all your questions regarding the accommodation and will help you to make the right choice. Our accommodation officer will be available throughout your residential French language immersion stay to support you if necessary. Our Easy French language school in Montpellier checks all accommodation suggested continuously for quality. These checks are done by regular re-inspections as well as by feedbacks from former partcicipants of our French residential courses in Montpellier. Our Easy French language school in France also respects the IALC accommodation code of ethic. We wish you enjoy great accommodation when learning French in France! Please find following some information to choose the right type of accommodation for your residential French course in Montpellier. Staying during French immersion programs with a French host family is a unique and rich experience. You will enjoy a real immersion into French life style. You will be able to learn French outside the classroom when talking to your host family. Families proivide a private room and you will have your own key. You are independent up to a certain extent, but you will have to accept the family’s meal time and the rules of the home. You will integrate quickly into the family life if you show interest. Be open minded and practise your French in a wide range of topics with them. You will benefit the most for your French skills outside of our French immersion school. Additionally, you will have an interesting insight into French culture. We place great importance on booking the best matching family for our students. Our accommodation officer looks at each students family questionnaire carefully in order to book a family according to your profile. All families of our Easy French school in Montpellier are carefully selected. Easy French has a great reputation for providing excellent host families in Montpellier. The student residences are very popular for student of our French immersion courses in Montpellier who enjoy independency and like to meet other students from all around the world. Student residence provide single or double room (as booked) including private bathrooms and own equipped kitchens (or access to an equipped common kitchen). 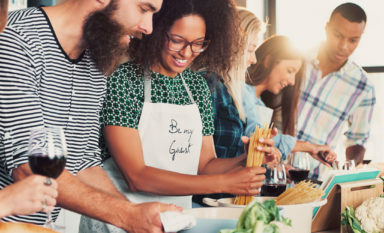 During your French language immersion course you prepare your meals yourself or together with other students. There are also many reasonable priced restaurants and student bars nearby our student résidences. You are completely independent, but you will have to respect the rules of the residence. 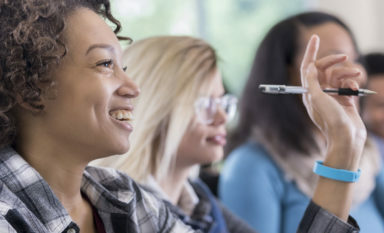 Most students staying during residential French course in Montpellier at the student residence are between 18 and 35 years old. However, more mature students young at mind can also profit from this accommodation option. The atmosphere at the residences is lively. You will be in max. 10 – 12 minutes walk to our French language school in Montpellier. You like to meet during French language immersion stays in France other students from all over the world? You like to go out? You like to be independent rather than integrating in a local French family? If yes, than this accommodation option for your French language program in Montpellier is the best for you. The rooms on the University campus are very popular for our younger students, who want to enjoy independence. You also like to meet students from around the world during your French language stay? The rooms at the Campus should be considered. 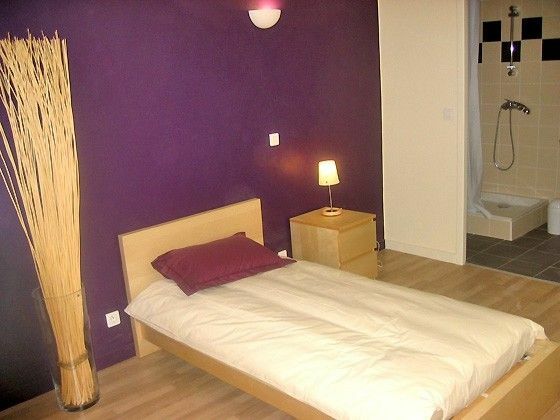 More basic than the rooms at the student residences, this is the most economic residential accommodation for French language stays in Montpellier. They are only available in July and August and the minimum age is 18 years. The rooms are located at the Montpellier University. They offer a private room with private bathroom. There is a kitchen, but you would need to bring cutlery and crockery or to buy it cheaply from local shops. You can eat at the University restaurants. You are completely independent, but you will have to respect the rules of the residence. The majority of the students staying on the University Campus are aged between 18 and 30. The atmosphere is lively. You are in 10 – 15 minutes from our Easy French school by tramway. The aparthotels offer higher quality accommodation and services. The aparthotel studios provide fully equipped private kitchens, they have private bathrooms and are fully air-conditioned. 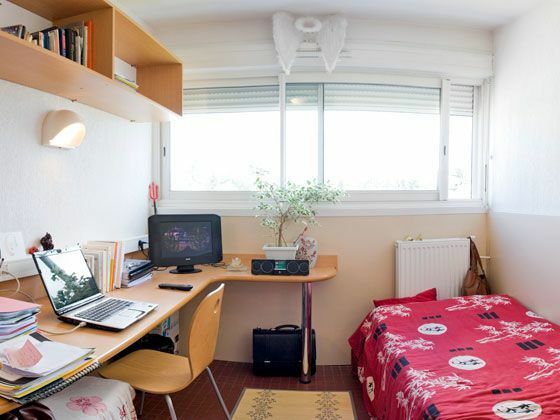 This type of accommodation for French language stays suits the more discerned student looking for independent accommodation for their residential French course in France. We can book hotels of all price levels. Hotels are relatively expensive compared with the other accommodation offered by our Easy French immersion school. 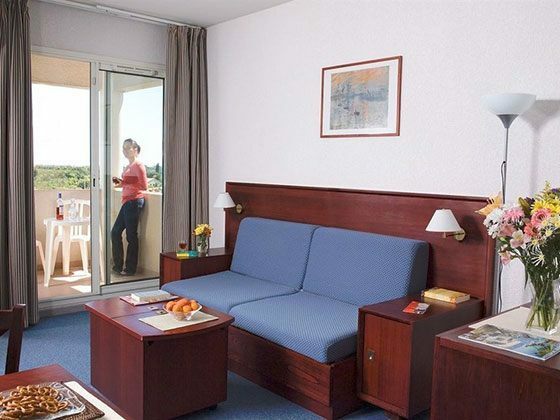 We therefore recommend hotels only for shorter French language stays in Montpellier.